The I Programmes - Kids TV - Classic programmes from yesteryear. 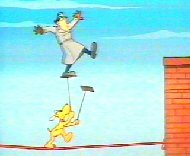 Inspector Gadget : One of those characters that got the job done but thanks to someone else. In this case it was his niece, Penny and her dog, Brain. Gadget was basically a human head on a strange robot like body with arms and legs that could grow, a helicopter inside his head (?) and a suit that could inflate to help him fly. His boss, Chief Quimby would send him on dangerous missions against MAD and the evil Doctor Claw. 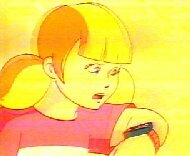 There would usually be a message that world self-destruct by Gadget rarely noticed! Bizarre really. Issi Noho : TV programme about a panda who was in a crate marked "thIS SIde up use NO HOoks". somehow it fell off a lorry? and the words got covered giving him his name. He solved problems with his magic number squares. 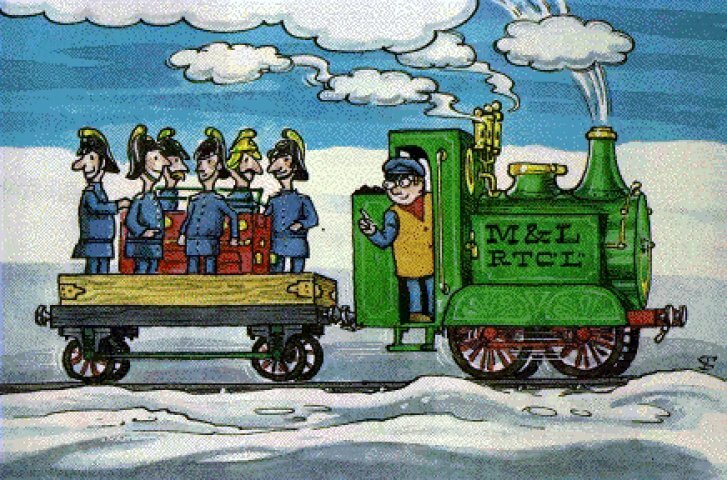 Ivor The Engine : Driven by Jones the steam and by the sound of the "voice", closely related to the Ant Hill Mob's car, Chuggaboom. The fire in the engine was created by Welsh dragons so now you know.